Sunday, 8/10, ITAB currently being shown at the San Jose Museum of Quilts & Textiles a juried exhibition of work merging fiber media with or representing technologies. 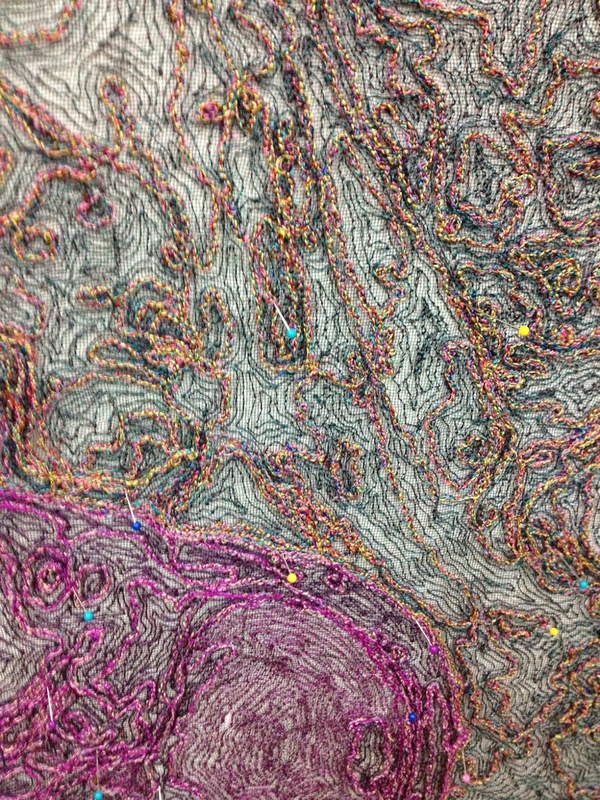 Some artists used digital jacquard weavings, digital printing & photography, laser engraving among other techniques. Others, like myself, were low tech artists, representing technologies in their work. 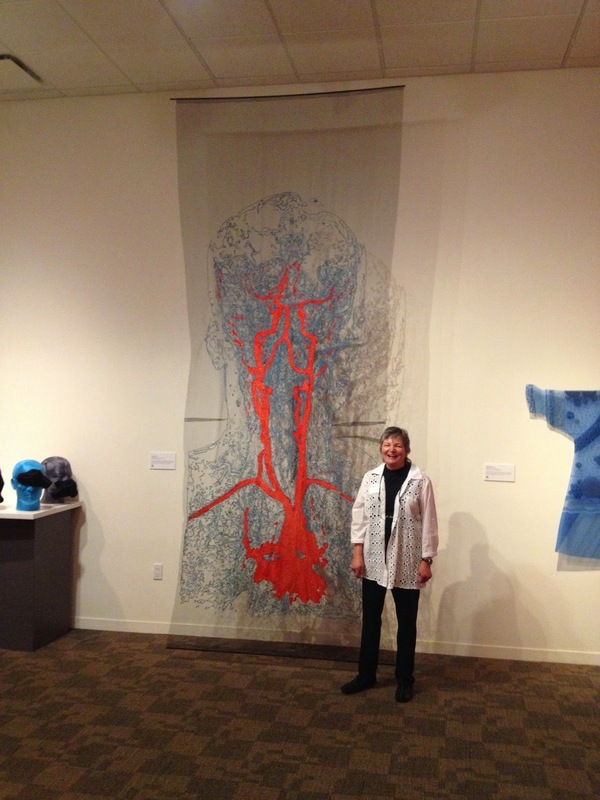 My work, MRA HEAD, is 12' x 5' stitched fiberglass mesh showing the blood flow of the brain through a magnetic resonance angiogram. It's an amazing show and will stay open until Nov. 9th. I hope you can see all the amazing pieces. 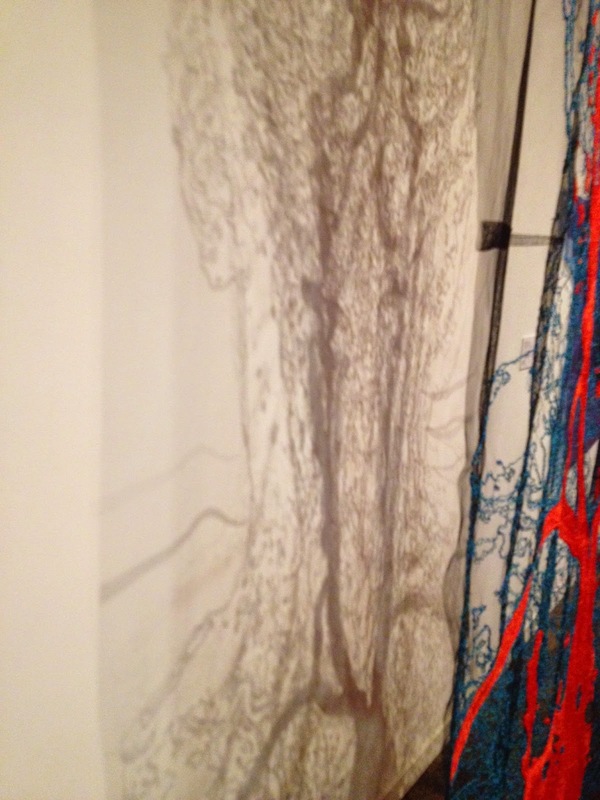 I really love the shadows that are created from this piece--one of the reasons I wanted to attempt to stitch on mesh. And thanks to Karen Rips, my friend & collaborator of A View Within, for taking this & other photos. I was so flustered when arriving, I had forgotten my phone in the car. Here's a piece I just finished & stretched. 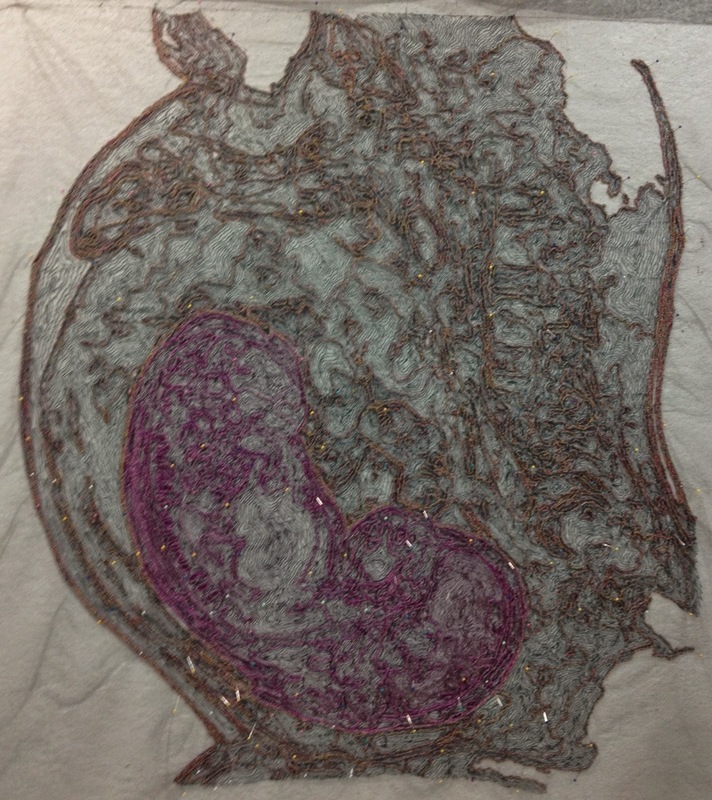 It's stitched on the fiberglass mesh multiple times, from the front and back sides. It will be able to be viewed from the front & the back. I'll post the other side once this is able to be removed from the design wall.